Have just finished reading A.W. 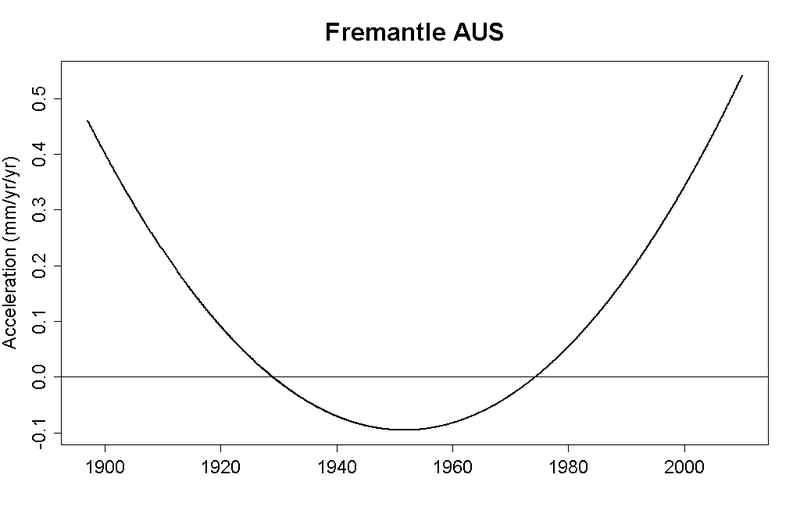 Montford’s (alias Bishop Hill) The Hockey Stick Illusion. Although I thought it excellent, and agree with the reviews (e.g. Air Vent), I thought I would look for contrary opinions, to allow me to compare and contrast the different sides. It just so happens that Tamino has posted a critical review at Real Climate blog on July 22nd. Bishop Hill has responded. In the spirit of allowing you to make up your own mind, let me present one aspect, which does not need a scientific background to evaluate. I would agree with Tamino, if that was the only problem with Gaspé. But other problems Montford recounts. It was included twice in the proxies – once as part of the North American PC series and once on its own. (p.140). An updated study was done taking the data to 1991, instead of 1982. There was nothing like the same growth spurt in recent times. The data went unpublished, and the author claiming to have lost the location. So the results could not be independently replicated. (p.174). From my simple view, the criticism of the Gaspé proxy series is multilayered. It was used inappropriately; there was a better proxy available (or an update); it was clearly an outlier; and was used twice. * Gaspé is around 49o North (same as Paris), Sheenjek River 65o North. (same as Iceland).